Every Wednesday, we publish our “Investor Toolkit” series on TSI Network. Whether you’re a new or experienced investor, these weekly updates are designed to give you specific investment advice on a wide range of investing topics. Each Investor Toolkit update gives you a fundamental tip and shows you how you can put it into practice right away. Trading in futures is a long-established and perfectly legal way to bet on price changes in commodity, currency and financial markets. When you buy or sell a futures contract, you commit yourself to buy or sell a quantity of a commodity (or currency or financial instrument) in the future. The date and quantity are standard; you fix the price when you buy or sell the contract. Here’s an example: Say you purchase a March wheat contract at $6.60. That means you’ve agreed to a contract for 5,000 bushels of wheat in March, paying $6.60 each, for a total of $33,000. The seller has agreed to sell that much wheat at that price on that date. Since the transaction takes place in the future, the buyer and seller only put up a deposit of perhaps 5% of the $33,000. This provides enormous leverage. A 5% price rise represents a 100% gain for the buyer and a 100% loss for the seller. Futures started out as a convenience for commercial interests. Farmers sell wheat futures to fix their income from this year’s harvest. 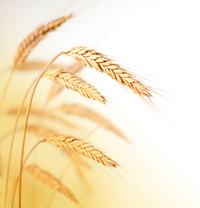 Bakers buy wheat futures to fix their flour costs. But most futures transactions take place between speculators who are simply betting that prices will rise or fall. Most contracts get closed out prior to delivery. Whether you look after your own investments or have someone else do it, this new report is essential reading. Four decades of first-hand experience have gone into Pat McKeough’s comprehensive new report “Wealth Management and Retirement Planning.” It’s ready for you to read now. Futures contracts have a fixed life, usually under one year. You can hold stocks or mutual or exchange-traded funds indefinitely. Futures contracts do not give you any income. Stocks, and some funds, do provide dividend payments. Futures are a speculation — a bet on price movements. To make money, you have to outguess other players by a wide enough margin to pay commissions. Stocks and funds are an investment because they let you profit from economic growth. Our investment advice: In theory, high leverage makes it possible to turn a modest stake into a fortune in futures. In practice, most futures speculators wind up losing money. Successful investors recognize that investing in futures is a form of recreation. You do it for fun, not profit. As a member of TSI Network, you may have already seen “Canadian Stock Market Basics: How to Trade Stocks and Make Good Investments in Canada.” If you haven’t yet read this new free report, click here to download your copy today. I’d also encourage you to share this report with a friend. canadian stock market, funds, income stocks, stocks, exchange traded funds, dividend, margin, stock market, investing, commodity, financial markets, good investments, good investments in canada, how to trade stocks, investing in stocks, investment, investment advice, stock market basics, successful investors, tsi, tsi network, canadian.